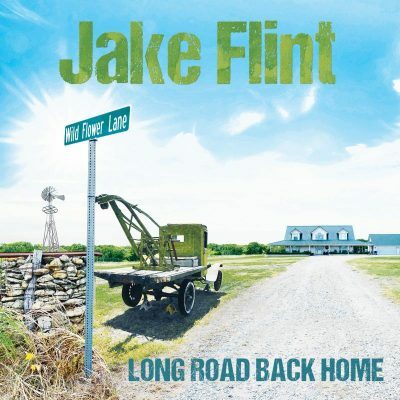 Oklahoma Red Dirt artist Jake Flint has released his sophomore single “Long Road Back Home,” the highly anticipated follow-up to his successful debut release, “Cowtown,” which was well-received by radio and fans alike. “Long Road Back Home,” co-produced by Flint with Red Dirt hit-maker Mike McClure is a lively up tempo song about the excitement of returning to beloved family and friends, and vividly captures the emotional anticipation of going back to your roots. Tulsa-based singer-songwriter Jake Flint is deeply entrenched in the Red Dirt music scene. Following the release of “Cowtown” in late-2017, Flint’s career took a sharp upward swing as his easy going style, quick wit and exceptional performance talents were embraced by the Texas/Red Dirt community of radio programmers and earned him a coveted slot as a featured performer at the recent TRRMA ‘Future Faces Show.’ The recognition and support of radio in building his awareness has given Flint the opportunity to greatly expand his touring base to reach a growing legion of fans. Find the most current Jake Flint tour dates from our partners at Country Music On Tour, your trusted country concert ticket source! Country Music News Blog participates in advertising programs that help fund the operation of this site. For more information please visit our privacy statement. This entry was posted in Jake Flint, New Music, Press Releases by Shauna "WhiskeyChick" Castorena. Bookmark the permalink.